- Supports creation of a single EXE to install your program for easy online distribution. Disk spanning is also supported. - Standard Windows wizard interface. - Customizable setup types, e.g. Full, Minimal, Custom. - Includes integrated support for "deflate", bzip2, and 7-Zip LZMA/LZMA2 file compression. The installer has the ability to compare file version info, replace in-use files, use shared file counting, register DLL/OCX's and type libraries, and install fonts. - Creation of shortcuts anywhere, including in the Start Menu and on the desktop. - Creation of registry and .INI entries. - Running other programs before, during or after install. - Support for multilingual installs, including right-to-left language support. - Support for passworded and encrypted installs. - Support for digitally signed installs and uninstalls, including dual signing (SHA1 & SHA256). - Silent install and uninstall. - Integrated preprocessor option for advanced compile-time customization. 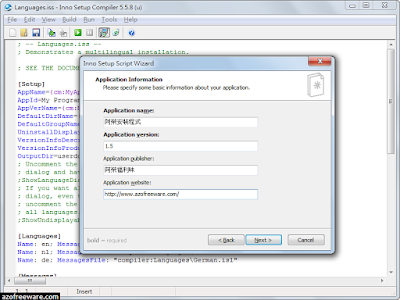 - Integrated Pascal scripting engine option for advanced run-time install and uninstall customization. 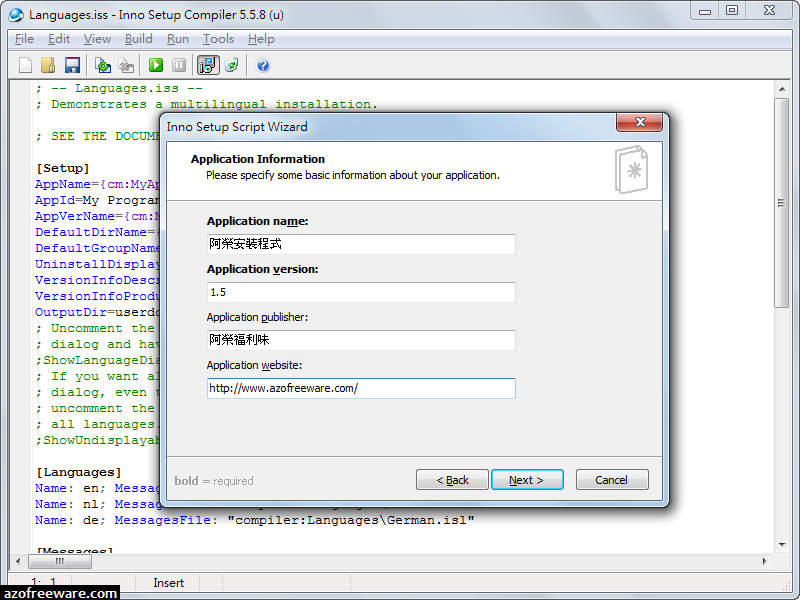 - Full source code is available (Borland Delphi 2.0-5.0 and 2009).